Living with a chronic condition can be overwhelming and bring significant changes to how you eat, spend time with others or build a career. As patients navigate through this process, they often come across roadblocks that prevent them from accessing care or participating in certain activities. When faced with these hurdles, patients have a choice to advocate for a difference or accept the changes in care and lifestyle that may accompany the decision to stand down. 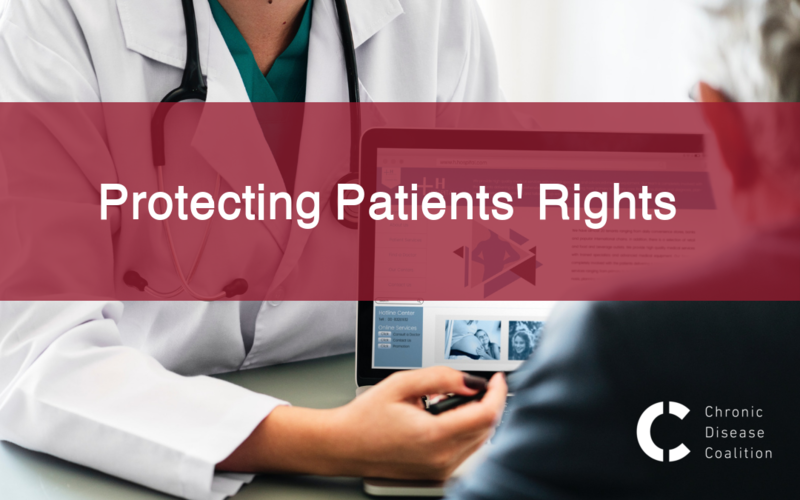 Patients can use a variety of advocacy tools to help promote change, and there are a number of laws on the books that will help them in their fight for change. Many laws – both state and federal – have been put in place to aid patients in the fight for access to care and reasonable accommodations, and to help protect patients with pre-existing conditions from discrimination in the school, workplace and elsewhere. Read about three times laws protected patients with diabetes from discrimination. In the Spring of 2017, Mary Murdock was chosen to become a member of AmeriCorps NCCC, a 10-month community service program for young adults, and travel to help improve communities across the country. However, when she submitted her medical information to the organization she was informed she wouldn’t be cleared to participate in 2017 because her recent diabetes diagnosis and she needed to prove she had been stable on insulin therapy for a year. Murdock reached out to an attorney and learned she had the right to participate in the program under the Rehabilitation Act of 1973. After appealing AmeriCorp’s decision, Murdock was cleared for service. “I am so glad I fought for my right to serve and had an amazing 10-month adventure, and the opportunity to continue to serve,” said Murdock in a blog. For several years James Wilson had successfully managed type 2 diabetes while working as a behavioral health technician. Unfortunately, Wilson began to experience diabetes-related foot pain, causing him to take time off work that was covered under the Family Medical Leave Act (FMLA). When his condition worsened, he was forced to amputate his toe. At the same time, his FMLA leave ran out, and James was informed by his employer that he wasn’t eligible for additional leave. James took matters into his own hands and looked into his rights under the Americans with Disabilities Act, learning his employer must make reasonable accommodations for his condition. Alongside an attorney, James took his case to his employer and was able to reach a settlement. Read more about James’ story here. At just two years old, Nora was diagnosed with type 1 diabetes. When it came time to enroll in kindergarten, Nora’s parents reached out to their local school to ensure that they had appropriate staff to help Nora manage her condition throughout the day. After several conversations with Nora’s family, the school nurse and administrators advised that Nora transfer to a different school because they didn’t feel equipped to help her manage her diabetes. Nora’s family investigated other schools in the area and applied to a different school but were rejected because the nurse couldn’t accept another student with a medical need, according to the family’s account. With help from the American Diabetes Association, Nora’s family argued their case to the school district, pointing to evidence that showed the school district wasn’t compliant with the Americans with Disabilities Act. The school district immediately backed down and Nora was enrolled in the school of her choice.